Are QR Codes in or out? There are a lot of different opinions and stats that support different perspectives on this question. We can all agree QR codes on websites are pointless this is just for looks. QR (Quick Response) codes were developed in 1994 by Toyota to help with the manufacturing process. They gained popularity for other uses in the US between 2009 – 2010. The number of QR codes continued to increase through 2011 but then plateaued during 2012 according to stats from comScore. • The same period had a 30% increase in smartphones which suggests that scans are almost flat. • Somewhere between 21% and 25% of Americans have ever scanned a QR code. 1. QR reading apps are not automatically downloaded on smart phones. Although the apps are free – it takes time and is another app to add. 2. Some consumers who tried earlier QR Codes did not have a great experience. Many of the sites were not mobile optimized and it was difficult to clearly see the offer or activity they had scanned to see. 3. Even with the scanning app loaded and a clear offer – the consumer still needs to go through the process to get the information. Many consumers won’t take that time. Where are QR Codes effective? After Erika blogged about Which Wich’s loyalty program I took my daughter to check it out. The line was quite long so after I filled out my bag and paid I stood around waiting for our sandwiches to be made. Right there in the waiting line was a large sign telling me about the loyalty program with a QR code that I could scan. The scan took me to the enrollment which was easily done on my phone. This was entertainment for a couple minutes! The signage is the key – it needs to be compelling enough for a consumer to take the time to join. Another place where I always wait is at sit-down restaurants. After I read the menu and order there is the wait time. This is another key time to use a QR code as entertainment – something to do while I wait for my food. I recently went into a liquor store looking for wine for an event. They had QR codes on little signs by each bottle which took me to specific information about that bottle including food pairings. The Wine Company developed all the content which is available through all of the retail liquor stores that they distribute to. The result was quite good! In a doctor’s office they have signs in the waiting area with QR codes regarding common ailments or questions. One had to do with specific vaccinations – Who needs a HPV shot? Rather than printing it all on the sign, the QR code took you to a page that quickly answered this question and gave the option to learn more details. One final example, in Minnesota we have 2 seasons – winter and road construction. As soon as the snow melts we have about 6 months to fix every road. Department of Transportation had a poster and a newspaper ad with QR codes in each part of the state. By scanning the code you were taken to that section of the state and it listed all the road projects and future road closings. This is where I see the most value for QR codes. You see an event or a cause on a poster and want to get involved or be supportive. Or you may see an advertisement for a special offer or a loyalty program that you are interested in. 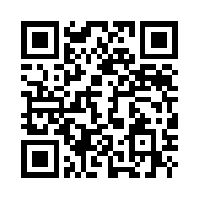 In these moments, it is much quicker to scan the QR code than type in the website to get to the page. I have also found that remembering to go to the site after I get to the office or home at a computer never happens. Wouldn’t it be great to be walking around town or in the mall and find a poster that offers a free ice cream cone for scanning and joining? The sign has the QR code and it goes to an enrollment form where I can easily provide my mobile number or email so that I can get the offer and use it as I am standing near the store. The sign influenced my decision to join because I was thrilled to receive the real value – free ice cream cone! QR Codes grew quickly, but use has plateaued. There are many uses that make no sense whatsoever, but in a few situations it is a powerful marketing strategy. Using QR Codes for loyalty program enrollment just provides one more option to connect and engage with your customers quickly.